Transcripts recovered from an anonymous source last week have allowed us to finally discover what happened in that fateful breakfast meeting several weeks ago. While most of us thought the UK and EU made a slightly awkward, if charming pair, no one ever expected the fledgling romance to end in such dramatic fashion. The conversation can be found below, without commentary. We hope that you will find it as illuminating as we have; in a time so momentous, there is no need for us to colour the events – we will allow you to experience them as they happened. EU: “I was cool with it, I am, but… I mean… I don’t want to be just ourselves. The transcript then ends with a few minutes of breaking dishes and shouting. Thus, what was meant to be a run-of-the-mill, delightful brunch date highlighted by simply scrumptious eggs benedict became the calamity we now refer to alternatively as Brexit, Breakxit, or Breggsxit. We will keep you up to date with any further news. Just when we all thought the long-standing duel between arch-nemeses Arsene Wenger and Jose Mourinho had surely concluded, it appears that the conflict is far from over. While the dramatic conclusion of last season featured Wenger leaving Mourinho marooned on an ice-planet soon to be struck by an approaching meteor, seemingly facing his ultimate demise, it was natural for fans to wonder whether the clash between the feuding generals could truly have turned its final page. The final episode left viewers to believe that Mourinho was doomed, and even gave significant airtime to an exultant Captain Wenger and his crew, among them the turncoat Doctor Eh-Va-Car-Neer-Os, as they escaped to safety in hyperspace. Their excitement is understandable, as there was no reason for them to doubt that they had finally defeated the evil Mourinho in utterly convincing fashion, after being bested by him so many times in the past. However, after the credits, a lone escape pod could be seen drifting slowly toward a cargo freighter in the distance. Rumours swirled; fan forums exploded as users raced to post their theories as to who was inside, with every guess seeming to become increasingly more far-fetched than the next. Among the first was that the bandit Vardee was attempting to escape from the frigate Lay Ai Chest Star, fresh off an unexpected pillaging of the Home System. However, few fans were able to supply a plausible motive for his unexpected departure. Many others claimed that the pod contained an hitherto unknown Neo-Viking mercenary of considerable power whose talents were available to the highest bidder. The third, and now, it seems, correct suggestion, was that the pod contained none other than Mourinho, who had somehow miraculously survived the destruction of the frigid and wasted blue planet upon which he had been abandoned. 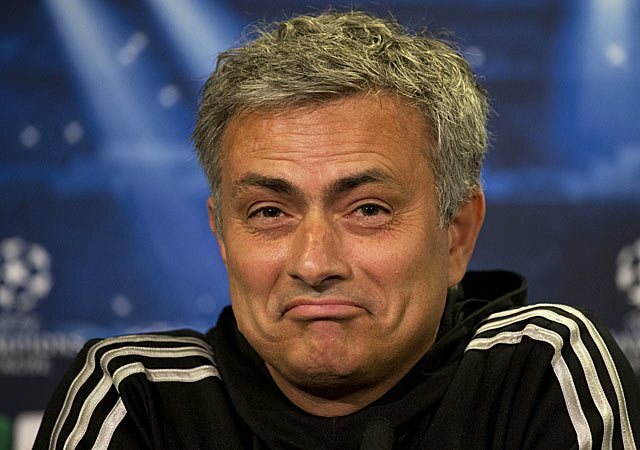 To make matters more worrying, if the leaked previews are to be believed, Mourinho has emerged from his would-be annihilation stronger and more formidable than ever before. 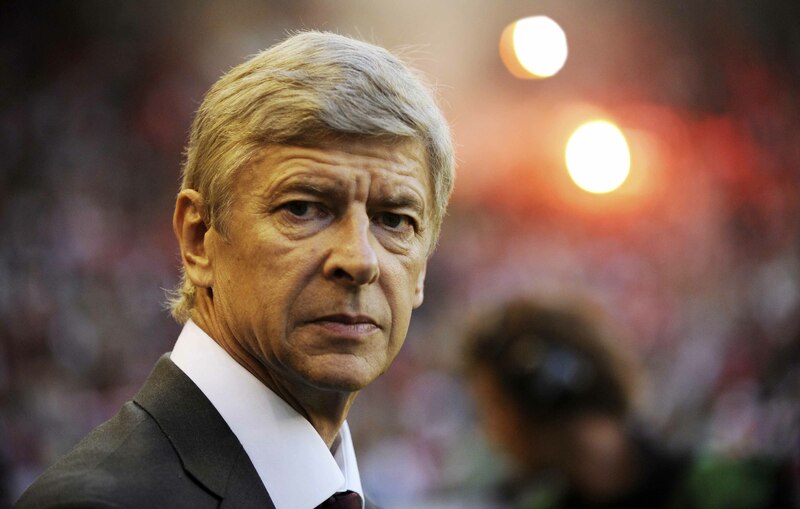 We have only a few weeks till the upcoming season to see how our hero Wenger will respond to the reemergence of his longstanding foe… and if rumours are to believed, this may well be Wenger’s final stand. In the United States, Church of Mammon membership is hitting record highs with the recent political successes of Donald Trump. “Make America Great Forever!” she chanted, as we sauntered off to write this article. The Church of Mammon was founded over 2,000 years ago by a rich young man who, after an encounter with Jesus of Nazareth, decided that a life of following God and the potential sacrifices which may ensue was simply too difficult and uncomfortable to pursue, despite the promise of love and fellowship with the Father, the purported Home of human hearts. This ambitious young man went on to promote the pursuit of riches, though his movement met with continued intellectual conflict with the newly forming Christian community. Famously, it was Jesus Christ himself who said, “You can serve only one master, either God, or Mammon,” implying that the true followers of God could not logically or rationally also follow Mammon, a symbol for the worship of wealth or possessions. Nowadays, however, the followers of Mammon seem to have finally found their champion, and recent reports show that they are leaving the church of Jesus in droves. Mammon, known across the ancient world as the scion of finance and material wealth, has found a modern fleshly companion in the form of Donald Trump. Critical to Mr. Trump’s electoral chances are the millions of former evangelical Christians in the United States who have left the religion of Jesus of Nazareth, famous for his denunciation of wealth and privilege, and joined Trump’s movement, notable for its lack of knowledge of biblical principles and, crucially, knowledge of even a single Bible verse. A groundswell of support to name the Trump as the official Prophet of Mammon is quickly gaining momentum. We’ll update you with the latest in the days to follow. As we mill about in the arrival terminal of LAX, a pitiful looking man is doing his best to drum up something to talk about with a woman standing nearby. ‘So…are you… do you like Tuesdays?’ he is very literally asking. ‘Or maybe you’re more of a Wednesday person..? Inspired by recent rom-com mega hit Nights on the South China Sea, one Hong Kong resident realised with a start that true love had been ‘right under his nose this whole time’. With his heart aflame, Cecil Winston bought a one-way ticket to Los Angeles, the home of the woman he now knows is his ‘kindred soul-spark’. ‘True love, mate,’ he replied. ‘It’s like, everything about this girl – I mean, she’s gorgeous, she’s just.. there’s that thing she does when she’s talking, then how she ties her shoes – mate, she’s everything.’ His eyes were lit like fireflies on a peaceful summer night, or stars whispering over the sea so as not to wake the sleeping moon. Before we could stop him, he started talking again. ‘I’ve always loved butterflies, their wings and colours and all that. Now I’m thinking – no, now I know – all that, it was all just a precursor to her. All the butterflies and sunsets and flowers and everything I ever thought was beautiful – it was all just a preview of this, how I’d someday feel for her. ‘She’s my butterfly-sunset-flower.’ As we pondered having actually heard that comment aloud, Cecil started up his media system, quickly flicking to the Romance Movies section. Meanwhile, we drifted off to sleep, and, mercifully, didn’t wake till landing. The moment approached. As we rounded the bend, Cecil’s eyes went watery, and he whispered, ‘There she is.’ A woman stood on the front edge of the welcome crowd. When she saw us, she waved. Cecil’s walk slowed to nearly a crawl, like he was dragging his feet through shallow, and deepening, quicksand. ‘What?’ replied the woman, looking the slightest bit shocked. The silence was substantial, and we were running late, but at this point, we had to see how things would turn out. ‘You’re my sunset-butterflower,’ Cecil told her. Four minutes of the most excruciating awkwardness we have ever experienced then followed. At one point Cecil was discussing the rules of rugby, which was followed by a description of his Ultimate Team in FIFA, after which he asked after her pet dog, who Sheila said was actually a cat who had recently been run over by a car. Cecil responded to this unfortunate news with a vague description of the impact of the airplane food on his bowels. Sheila nods, gives him a little awkward wave, and turns to leave. She doesn’t make it more than ten paces. Cecil smiles and turns to us. The look on our face must not be dissimilar to that of someone who’s just seen a cartoon boat full of puppies get struck by a meteorite. 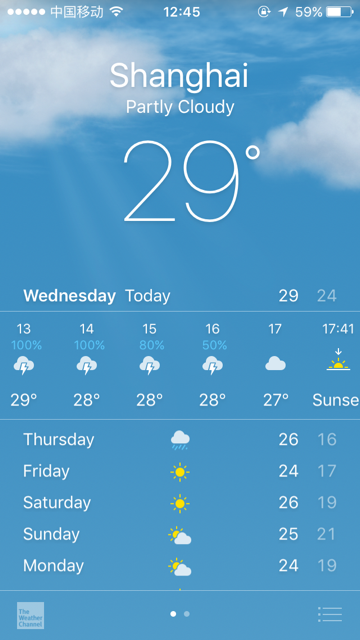 Despite predicting a relatively confident 100% chance of rain at 9:00am today, Rodger’s Weather app was foiled by the vagaries of an unpredictable climate. The morning is cloudy, to be sure, but it still hasn’t rained, and it’s 9:31. “I had a feeling it wasn’t going to rain,” Rodger confirmed. By this, we know what he really means is just that he really didn’t want to carry an umbrella, and is now bitter at having had to do so when the predicted rain did not appear. Interestingly enough, Rodger’s feelings are in line with the Weather Apps and Humanity study released last week. The study included the now-famous data point stating that 48% of humans feel personally validated when their Weather app forecasts incorrectly. Scientists have offered two possible explanations. One school of thought reasons that this may be due to the relative lack of visible and tangible threats faced by modern humanity, particularly urban residents. Without a visible foe over whom to regularly claim victory, such as wolves, snakes, or the sea, humans are acting out, finding challengers in Weather apps, fantasy football, and online message boards. The second potential reason is the lack of positive engagement offered by impersonal Weather apps. Humans become confused and skeptical when new characters enter the scene, and the strange is often deemed as hostile. Weather apps have proliferated in the past decade and are now present in the pockets of a vast number of humans, and the growth may have been too rapid for flighty humanity to absorb without some measure of fear. Adding to the problem, anti-apps activists maintain that Weather apps have done nothing to prove that they have peaceful intent and only come as helpful friends. At press time, Weather apps were preparing to release a statement in response to the strongly-worded Weather Apps and Humanity study, which concluded with the lead scientist going on a rant about how he got soaked in a deluge the night before after his Weather app predicted ‘mostly cloudy and no rain’. Having finally vowed to put all their differences to rest following the outcome of one freaking epic lightsaber battle, Premier League managers Arsene Wenger and Jose Mourinho have been stirring up the press and their fans for support all week. While Arsenal and Chelsea are playing through an irrelevant match on the pitch, Arsene and Jose will be in the midst of a grueling duel to decide the true victor as they dance about in the rafters of Stamford Bridge. The precise overhead location has not yet been determined, though reports suggest that it must be overly precarious and not at all practical for a lightsaber battle. At one point, Arsene is expected to lose his footing and barely catch hold of a metal girding, narrowly avoiding a plummet to the bleachers below. This will allow him to have a heated exchange with Jose, in which a surprise plot twist will be revealed. What they may be is anyone’s guess. Mourinho elected not to respond to our interview requests, sending a message through an intern stating that he only talked to “real” news outlets, because he’s a twag. Word has it he will be using a double-bladed lightsaber, despite having publicly blasted opposing managers for doing the same at the start of the season. Mourinho’s blade colour will be red, obviously, despite the fact that he manages Chelsea; Arsene, as the unanimously-agreed good guy, received the sky blue sabre by default. Wenger, because he cares about those of us in the honest press, kindly agreed to a brief interview. He declined to complain about the unfairness of the dual-bladed weapon chosen by his opponent, and despite our trying to egg him on into saying something somewhat inflammatory, or even just plain mean, like Jose would have done, Wenger would only confirm that he thought Jose had a ‘great parry’, and a left swing that could really ‘do some damage’. This weekend, while Arsenal and Chelsea are battling it out for Premier League supremacy (if you’re Arsenal) or battling relegation (if you’re Chelsea), look to the rafters – that’s where the real fight will be going on. As to the outcome? From this point on, we’re just as in the dark as you are. On a seemingly normal summer afternoon in Shanghai, the Welding household was thrown into disarray after young Martin asked one of the questions universally dreaded by parents. Mum, Dad, he said, in that voice he puts on when you know he’s about to do something annoying. Rodger and Norma Welding did their best to distract the little boy, but nothing could stop what was coming; the little terror was determined to ask his question. Mum, Dad, he said again. How does the internet work? Rodger and Norma, who are avid users of the internet, begin to see in that moment that that they actually had no idea as to how the internet functions. Like traffic patterns, or the seasons, they had accepted it as just one of those mysteries of life whose functioning doesn’t need to be reasoned out. As she began to think of a response, Norma realised that she had never even given the actual workings of the internet a second thought. A vast, invisible web, somehow catapulting movies and emails and pizza orders, without wires, from Space, and Germany, and Netflix… if any of those places even existed, come to think of it… it was too much to handle. Stammering, she began to feel the overwhelming magnitude of a something, invisible and all around her, transporting more information every single second than any human brain could comprehend in a lifetime. Beginning to feel paranoid, she checked their surroundings, wondering if they were in the internet right at that very moment. Rodger was experiencing similar emotions. The internet was something that invented fantasy football and Wikipedia and the News. It wasn’t something to be comprehended, like elevators or sandwiches or airplanes. Now, however, he started to wonder about airplanes, and with a sickening feeling in his stomach, he had to confront the fact that a gigantic mass of steel and glass shouldn’t be able to fly, like it’s a bird or something. It was literally impossible. Becoming flustered, Rodger tried to go back to the internet-as-voodoo-magic idea, which seemed more plausible than anything else at this point. Not quite satisfied with the answers thus far, Martin followed his initial question up with a final knock-out punch, asking how can a phone make Mummy’s voice come to his school from her office. Rodger and Norma paled, looking at their phone-boxes, which were increasingly seeming more and more magic as the afternoon went on. As they began to make up an answer, Martin, thank God, found a lizard, and stopped asking questions. On Tuesday, passing fisherman discovered the plump and sunburned body of a foreigner sprawled along a muddy shoreline embankment on the River Nile. Fearing the worst, they pulled him onto their boat, greatly relieved to find him alive. They gently revived him with water and a couple of grilled bananas they had on hand. Guessing he was simply a lost and fairly stupid member of one of the many organised safaris which passed through the area, they decided to take him back to one of the park guard stations, where he could be quickly sorted out. Huck Finn said that ‘you feel mighty free and easy and comfortable on a raft’, but just at this moment, that wasn’t the case for Nigel on the little fishing boat. He felt that he was not out of the woods just yet; he reasoned in his brief stay in the land of consciousness that he was likely to expire at any moment from sheer exhaustion and, as he had skipped breakfast (and possibly brunch), sheer starvation. He fell into a fitful sleep, mumbling to himself about restaurant menus written on chalkboards, margaritas that were frozen, and express trains to the airport before dreaming of lands where coffee flowed in abundance and milk and sugar fell from the very skies. The fishermen deliberated as he slept. “What an idiot. Doesn’t he know how dumb it is to sleep next to the water? There are hippos here! And crocodiles! And the mosquitoes! Sleeping there with his mouth gaping open, like he’s some crocodile in the sun. It’s a wonder he wasn’t eaten by something!” the first fisherman said, animatedly. “Let’s take him back to town?” suggested the first, interrupting the river musing of his companion. Nigel, still unconscious when they arrived, was curled in a fetal position in the backseat. The first fisherman picked him up and walked him into the cafe, laying him down gently on a seat made of a wood crate with an old coffee ad stamped onto it. He picked up a pillow, which was printed with a vintage tourism ad, and placed it under his head. They’d grown quite fond of the hapless foreigner in the time they’d spent caring for him. “I think he’s going to like this place,” the first fisherman said to the second. Unfortunately, the second fisherman didn’t hear a word the first one said, because fond of the foreigner or not, he had just seen the waitress who was coming over to take their order, and she had stunned the very fire of life right out of him, down to its smallest, most infinitesimal spark, and it was all he could do just to remain standing. He gasped when she looked at him, and quickly averted his eyes. Nigel, for his part, slept through the whole exchange, unable to thank the angels of the river who had come to his rescue. He woke up just before lunch with a raging hunger. The kind waitress, who seemed to have a spring in her step, brought him a menu, and as soon as he saw ‘smoothies’ and ‘guacamole’, he knew he was in a safe place and nothing bad or scary could ever happen again. Facing mounting pressure from riot police unions, protestors have released a joint statement apologising for their recent behavior, which included general unrest, violent demonstrations, and somewhat impolite demeanour over the past weekend. What began as a calm gathering of weekend picknickers quickly got out of hand early Saturday afternoon. Under the impression that two of their members had been unrightfully detained by uniformed individuals whom the picknickers mistook for riot police, they began angrily demanding their companions be returned, causing quite a stir as they pelted a nearby park attendant kiosk with any projectiles they could find on hand. The cries drew a crowd which rapidly transformed from curious to indignant upon hearing of the injustice foisted upon the helpless by uncaring faceless uniforms. Swelling to over two thousand people over the course of just fifteen minutes, the protest began to migrate, seemingly at random. First, they blocked access to the popular public park in which the now infamous picnic began. They then orchestrated a spontaneous sit-in at a nearby Old Navy, long suspected to harbor pro-police sentiments and good weekend deals. The crowd then attempted to sing anti-police songs, but nobody really knew what to rhyme with ‘police’, so they decided to go to karaoke instead, which was pretty fun. They followed that up with a visit to a local ice-cream shop, where they rabidly devoured the entire stock in just a few minutes and didn’t even really say thank you, before moving en masse to the local iMax theatre, where they enjoyed a run of Jurassic World, even though many of them had already seen it. After the movie, still indignant with righteous fervour, the demonstrators raced to a nearby wine bar to catch the two-for-one happy hour, before electing to continue their night at several local establishments, culminating in what one demonstrator described as a ‘pretty sick weekend.’ By this point, with numbers estimated at over ten thousand, most protesters weren’t totally sure what they were angry about, but they unanimously agreed that protesting was pretty awesome. It appears that reconciliation efforts are already underway, however, as protest leaders have invited riot police representatives to join next weekend’s protest festivities. Old Navy, the ice cream shop, and the iMax cinema have offered their services as corporate sponsors for any protests occurring in the near future.